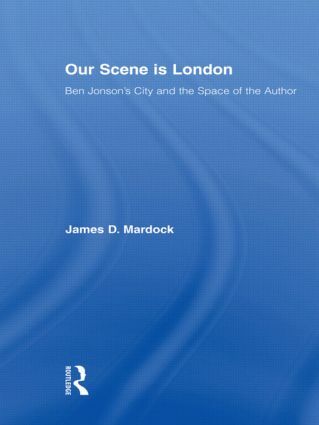 In this thought-provoking study Mardock looks at Ben Jonson's epigrams, prose, and verse satire in order to focus on Jonson's theatrical appropriations of London space both in and out of the playhouse. Through this critical analysis, the author argues that the strategies of authorial definition that Jonson pursued throughout his career as a poet and playwright were in large part determined by two intersecting factors: first, his complicated relationship with London's physical places and its institutional topography, and secondly--challenging commonplace assumptions about Jonson's anti-theatricality--the distinctly theatrical model of spatial practice that he brought to bear on his representation of the urban experience. Although much criticism has focused on Jonson's role in the emergence of modern definitions of authorship, most has focused on the material contexts of the book trade, on the politics of Jonson's patronage, or on Jonson's self-construction as a neoclassical and primarily textual poet. Mardock engages with all these considerations, but with a focus on the dramatic practices of urban space--a growing concern among scholars of early-modern drama--as a consistent factor in Jonson's authorial claims.